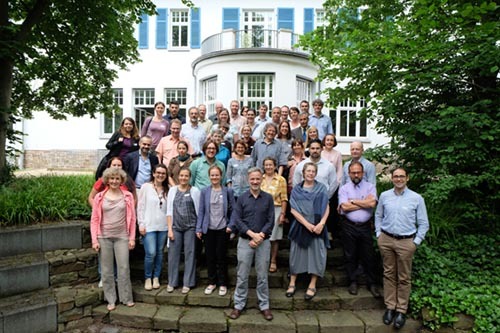 The Good Practice Workshop co-organised by The Evaluation Helpdesk, the Federal Agency for Nature Conservation (BfN), “Preparing the assessment of High Nature Value Farming in Rural Development Programmes 2014-2020” June 7-8, 2016 Bonn, Germany. Stocktaking of the methodologies used by Member States to identify HNV farming (extent and condition). Exploring the systems in place for monitoring HNV farming in the Member States: What systems are in place? How often is the monitoring done? What kind of data is used? Identifying advanced methods to assess HNV farming. What criteria indicate an advanced method? What needs to be in place to apply advanced methods for the assessment of HNV farming consistently? Oppermann, R., Beaufoy, G., Jones, G. (Eds). 2012. High Nature Value Farming in Europe. 35 European countries – experiences and perspectives. Verlag Regionalkultur, Ubstadt-Weiher, Germany. Brunbjerg, A.K., Bladt, J., Brink, M., Fredshavn, J., Mikkelsen, P., Moeslund, J., Nygaard, B., Skov, F., Ejrnæs, R. 2015. Development and implementation of a high nature value (HNV) farming indicator for Denmark. Ecological Indicators, 61, 274-281.